You'll not find a tougher Octopus toy out there! And you'd be hard pressed to find ANY soft toy that can fend off dog teeth like this guy. However, some dogs just can't be trusted with any soft toys. If your furry mate is hell bent on toy destruction you'd be better to stick with options from our recommended Toys for Tough Chewers. 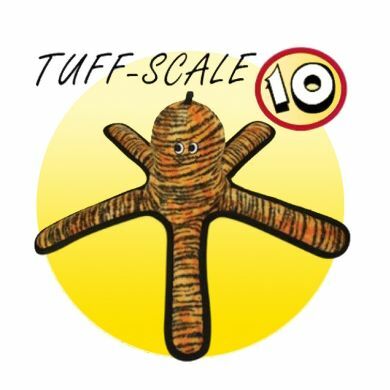 That said, this mega Tuffy toy is one of the strongest most durable soft toys. Rated 10/10 for toughness, Pete is great for even the biggest of dogs. While Jersey Shore Pete is super tough for a soft toy, he is not a chew toy and should be enjoyed by your dog under supervision. What's great about Jersey Shore Pete? What sets Tuffies Toys apart? Tuffy dog toys are super durable soft toys. 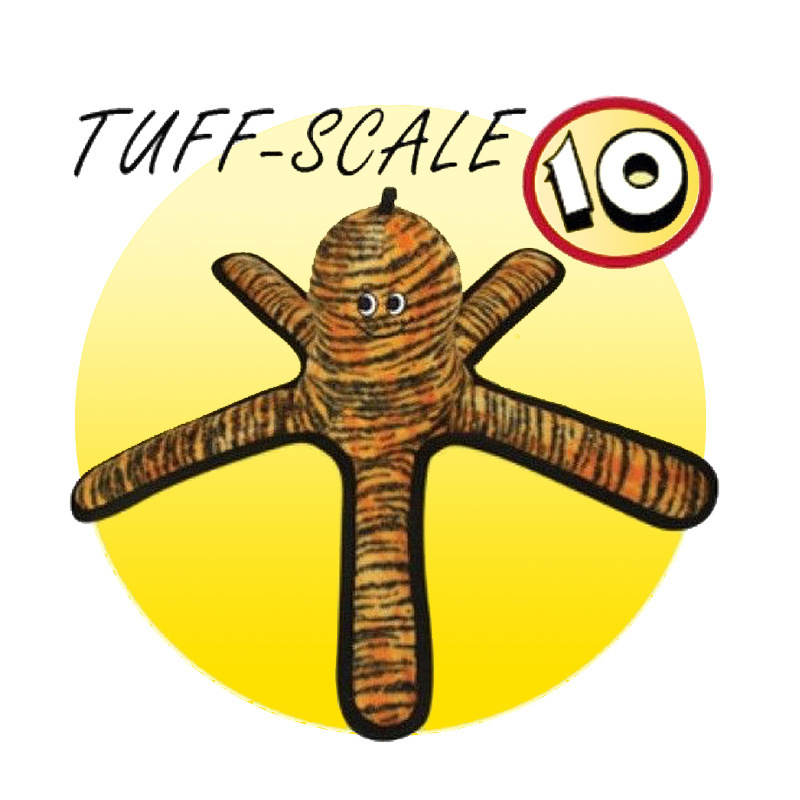 Many layers of toy are bonded and sewn together to make one "Tuff" Layer. Each Squeaker is safe and quiet because they are sewn into a safety pocket beneath seven other layers of materials. While this toy is tough, it is not designed to be a chew toy. The Tuffy’s Series Toys are designed to be play toys and not chew toys. No Part of any toy should be ingested. This toy should be enjoyed with supervision.